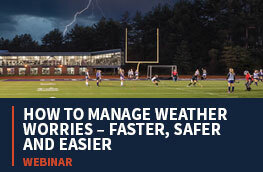 What does your school do to protect student athletes from deadly lightning strikes? We know – it’s not something that most athletic directors, coaches, or athletes themselves like to think about. In today’s digital age, it’s easier now more than ever to prevent these types of accidents from happening and to calm nervous parents or players. There are plenty of tools out there designed specifically to prevent lightning and other weather-related accident from occurring in the first place. What Is a Lightning Safety Policy? Student safety is a top priority at your school. 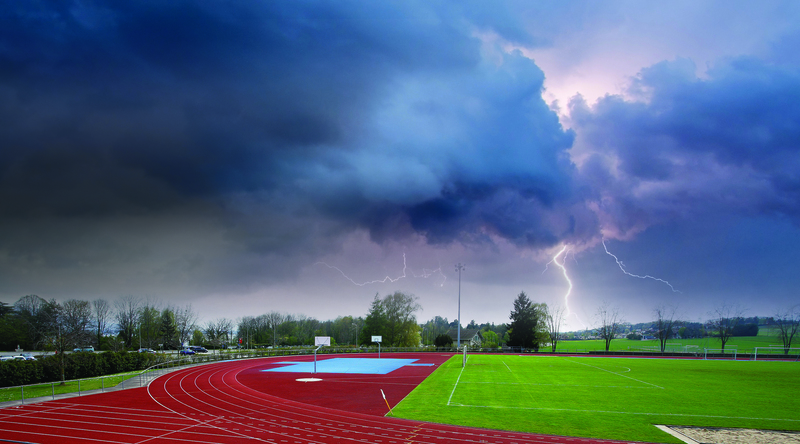 Protecting student athletes from lightning strikes starts with a school lightning safety policy. A lightning policy for sports includes hardware, software, and procedures aimed to create safety and accountability when it comes to severe weather and sporting events. Policies act to not only protect student athletes, but officials, school employees, and spectators, as well. Keep reading to find out the five essential considerations any school must take into account when creating a lightning safety policy. There are a lot of different lightning safety products on the market today, and the lingo can get confusing. For example, is there a difference between lightning detection and lightning prediction? Believe it or not, there is. It’s always a good idea to work with organizations that spell out the main differences for you. 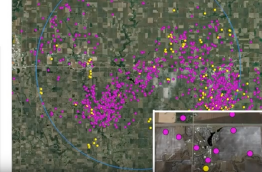 Lightning detection is the actual detection of lightning strikes while lightning prediction is an antiquated process that merely measures nearby electrostatic discharges. Unfortunately, lightning prediction systems can mistake ambient charges as lightning. Best practice calls for a lightning detection network, not a prediction instrument. When it comes to lightning detection, the most complete networks that offer the most advanced lead times that help get student athletes to safety is a total lightning network. When you think of lightning, you think of a bolt striking the ground, an object, or a person, right? Maybe even Ben Franklin’s kite. That type of lightning is called cloud-to-ground lightning. Cloud-to-ground lightning is exactly what it sounds like: Bolts of lightning that go from the cloud to the ground, or an object that is on the ground. However, this type of lightning only makes up about 20% of all lightning strikes. The most common type of lightning is in-cloud lightning. These lightning strikes bolt from cloud to cloud and make up nearly 80% of all lightning strikes. While these aren’t immediately dangerous to players on your field, they are a tell-tale sign of other forms of severe weather. In-cloud lightning is used to predict cloud-to-ground lightning strikes, heavy rain, hailstorms, and even tornadoes. A lightning monitoring and detection system that takes into account total lightning detects both cloud-to-ground and in-cloud lightning, so your school sees the big picture and has a better chance of keeping people safe. To learn more about what to look for, check out our buying guide. The next thing you must consider when putting together your school’s lightning safety plan is the location. It’s obvious that outdoor sports fields need to follow a lightning policy. When outside, student athletes, officials and spectators are completely at the mercy of the elements. So, it’s important that they know when danger is on its way. Installing a highly accurate outdoor lightning alert system is your campus’ best bet for protecting students. An ideal system will have a loud horn, strobe lights, mobile alerts, or all three. That way, no one can ignore the fact that severe weather is on its way. We’ve all been in situations where officials, parents, or coaches want to keep playing – right? These types of outdoor alerting systems become the unbiased decision-maker, using real-time weather data to keep student athletes safe. It’s also important that indoor facilities adhere to lightning safety policies as well. While your students on the basketball court are safe in a lightning-safe structure, indoor pools are at risk of lightning strikes. If your campus has an indoor swimming pool, it’s important to include evacuation guidelines in your lightning safety policy. 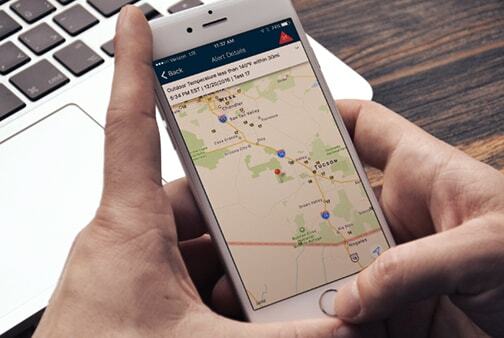 Mobile alerts are great for these indoor locations that might be too far away from your audible or visual outdoor alerting system. It’s clear that alerts are necessary for a lightning safety policy. But what kind of alerts does your school need? We touched on this earlier with the difference between indoor and outdoor alerts, but all schools need alerts that are based on real-time weather data. Why is real-time data so important? Think about this. You’re getting ready to head to school in the morning, and according to the news, it looks like it’s going to be a sunny day. You forget your jacket and only pack shorts and a t-shirt to coach in. Your day is going great, until the 6th period when you notice that it’s pouring and the forecast says it’s not going to let up. You’re going to get drenched in practice without a jacket. Not exactly a healthy working environment. 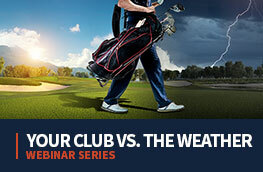 This is a common problem because weather forecasts can change quickly. Not only that, but the forecast you check in the morning on the news or on your favorite free app probably isn’t hyperlocal. What we mean by that is, you’re probably getting weather data from your nearest metropolitan area or the nearest airport – which can be a lot different than the conditions at your actual location. The next major issue you shouldn’t forget when crafting your own lightning safety policy is protocol and training. A great policy is only as good as how ready the key players are to enforce it. You should document all protocol to hold people accountable when severe weather conditions are present during sporting events. The protocol should include an overview of the lightning safety systems used by your facility, the rules, and the shelter locations. That’s just the bare minimum. If you really want to elevate your lightning safety policy game, you can include information on what to do if someone is struck. You can also include consequences for not adhering to the policy, to persuade coaches, officials, or teams that do not heed the warning. General lightning information is also a good component to add to the documented protocol. Having a protocol is great, but it’s not everything. All coaches and officials should review this information and sign a form that binds them to adhere to the protocol. Often, people think that they will be fine when severe weather approaches. However, lightning is extremely dangerous. In the U.S., approximately lightning kills approximately 50 people and that number is much higher in other parts of the world. In India, nearly 2,000 people die from lightning strikes per year. Finally, the last thing that you should consider is how easy it is to share time-sensitive weather information. This is especially important for large campuses or schools with multiple fields or facilities. Automated alerts and other lightning information must be shared quickly and effectively to keep people safe. That’s where collaboration comes into play. It is best practice to invest in weather visualization and alerting that allows multiple people to work together. For example, an athletic director advising multiple coaches who are holding practice, as well as the athletic trainer who is on school grounds. Educators, athletic directors, and administrators worry about the welfare of their students daily. It’s only natural. You work hard to ensure they succeed both in the classroom and on the field. Keeping them safe is part of your job. Using a lightning safety policy makes it easier to safeguard their well being. To learn more about the relationship between education institutions and severe weather, please visit our blog.